If you are dreading another day at the office, you probably aren’t the only one. There is nothing worse than turning up to work knowing you’ll leave with a sore neck, back or even worse, a headache. With increased computer time as the world moves forward, work place health and work station set up has never been more important. 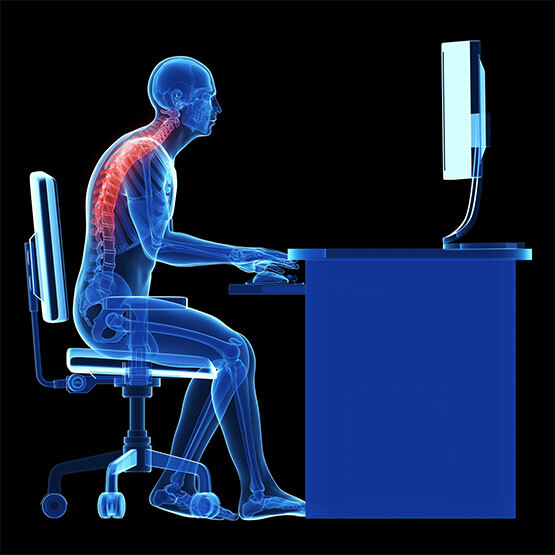 At Edge Physio we can give you tips on setting up your work station to minimise discomfort and give you exercises you are able to perform in your chair to prevent pain before it arises. If it’s already too late and you are in pain we can help here too. We will assess and treat you giving you tips and tricks to take back to your workplace to ensure that you dont see us again.